Wine is one of life’s most enjoyable pleasures. Light is fundamental to our very survival. What’s the link between the two? The e-Luminate Foundation explored this as part of a wine tasting experiment to prove whether or not lighting conditions influence our perception of wine. 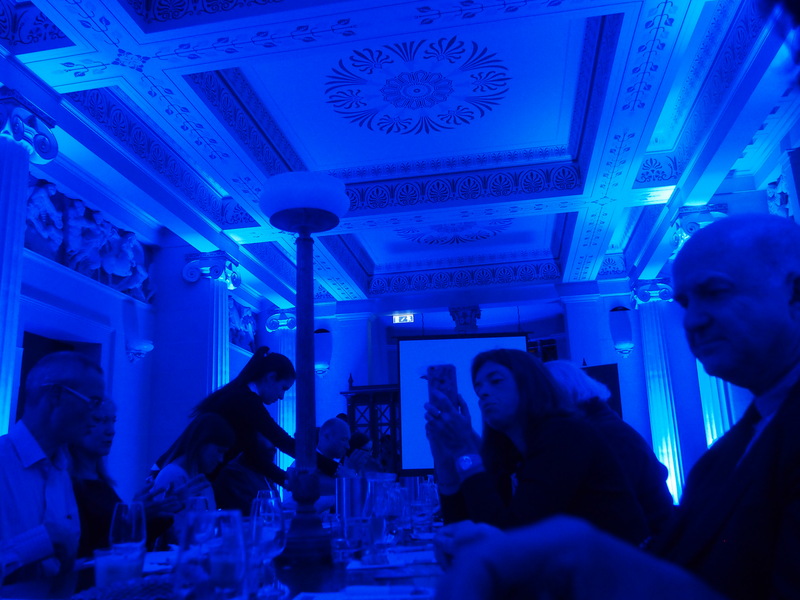 The experiment consisted in tasting wine under different lights in the prestigious Fellows Dining Room at Gonville & Caius College in Cambridge, United Kingdom. Of course e-Luminate is in the business of light not wine, so the team engaged the services of an experienced sommelier to recreate a 2009 German experiment reported in the Journal of Sensory Perception (1), on the impact of light on our taste. For the immersive lighting effects, the organisers used Chroma Flood fixtures. Guests enjoyed a selection of Italian sparkling wines by Bosca, also Patron Sponsor of the International Year of Light and Light-based Technologies 2015 (IYL 2015). Bosca’s cellars in Italy are a UNESCO World Heritage Site. The experiment was conducted in two groups of 42 and 44 people respectively. The researchers used four ambient colours – blue, red, green and white – and served a taste of Bosca sparkling wine with each colour change. Participants evaluated each wine based on its aroma and taste. Participants of the experiment tasting wine under blue light. Credit: e-Luminate Foundation. The results of the experiment highlighted that red and blue light on average makes wine taste a bit richer and fuller for most people. More experiments will be needed to gather more data so the e-Luminate team is planning another evening of experiments during their next festival in February in Cambridge. All of the profits from ticket sales are being put towards the e-Luminate educational programme. The e-Luminate Foundation has been working in Cambridge since 2012 to raise awareness of the benefits of light and lighting technologies. Its educational programme, the Light Lab, has gone from strength to strength producing high quality activities involving Light at the crossing of art and technology. Next year’s e-Luminate light festival will return from the 12th to the 17th February 2016 – details at http://www.e-luminatefestivals.co.uk. Make a note of it now; this is yet another of their events not to be missed! 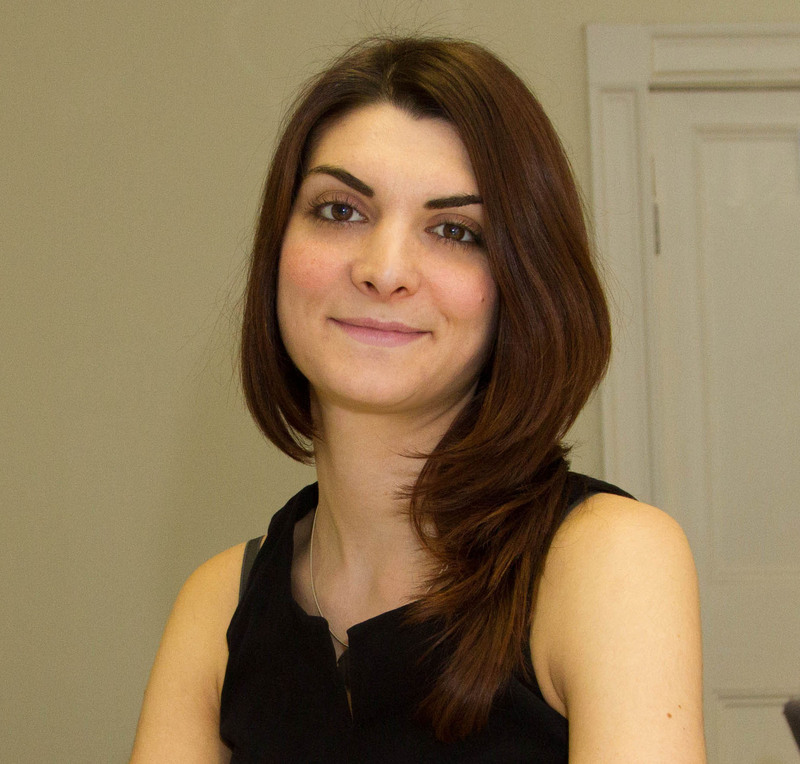 Alessandra Caggiano is a cultural entrepreneur. She is a dynamic leader and Co-Founder of the e-Luminate Foundation as well as Curator of e-LuminateCambridge, a most innovative arts festival which runs annually and showcases breathtaking light installations created by artists, designers and technologists. She completed an MA in ‘Cultures and Organisational Leadership’ in Cambridge, and her previous studies in Italy focused on Arts and Cultural Heritage Management. Alessandra is an international expert on Light Art and she is also Director at e-Luminate Studio, a creative consultancy designing, delivering and promoting unforgettable Light Art installations. She aims to encourage a deeper appreciation of Light and its complexities through the various activities and events she organises.